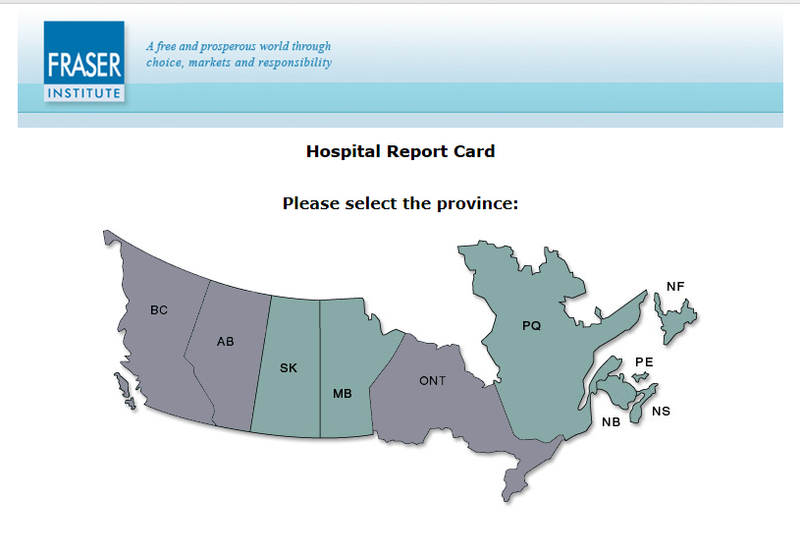 The Hospital Report Card provides quality of care information on hospitals operating in the provinces of British Columbia, Alberta and Ontario. For each province, the report card assesses 39 indicators of inpatient quality and patient safety for acute care hospitals. These measures include death rates, adverse events, volumes of procedures and utilization rates. For British Columbia, the report card includes two experimental indicators adapted by the Fraser Institute that attempt to capture the potentially distinct circumstances of care provision in British Columbia.